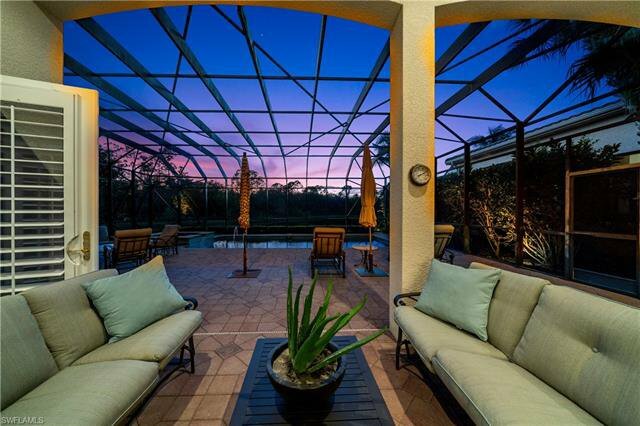 V.2760 - Luxury villa with stellar sunset views over the lake! 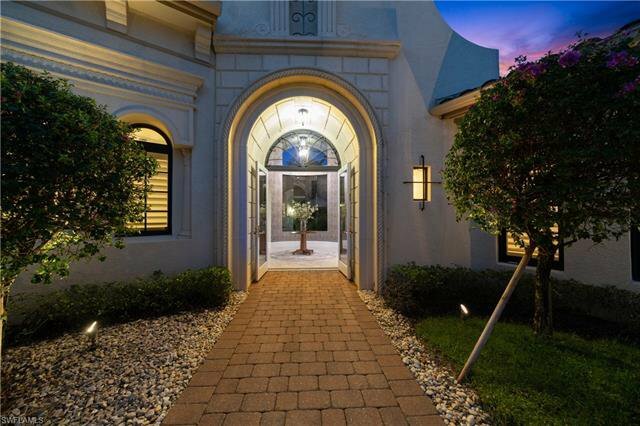 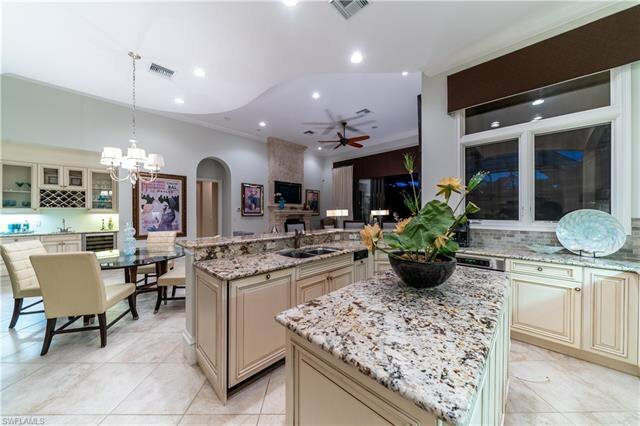 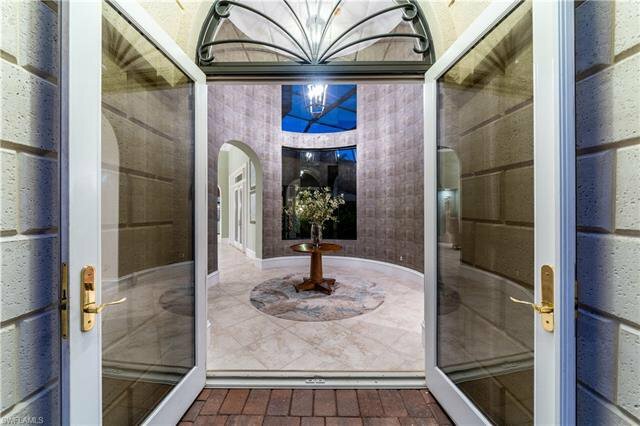 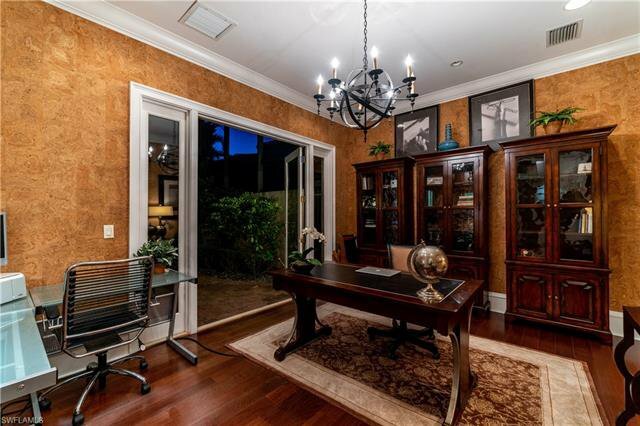 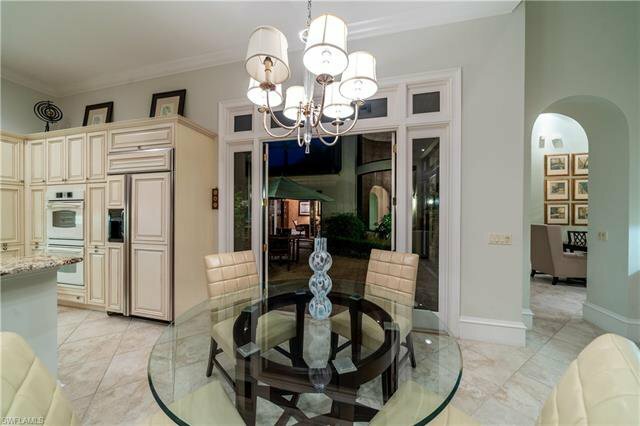 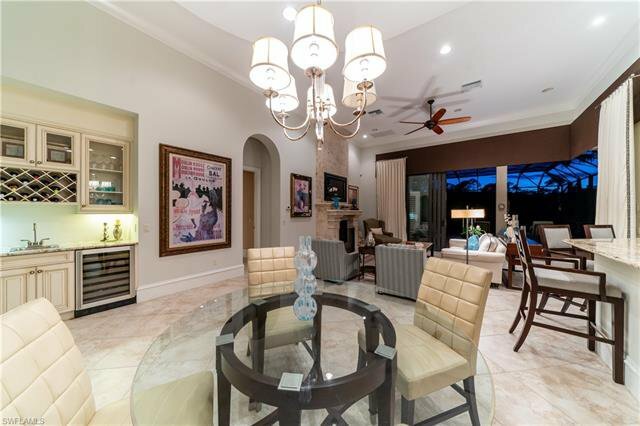 A gated courtyard leads you into the dramatic foyer through double glass entry doors w/transom and rotunda with 18’ ceilings with extensive windows. 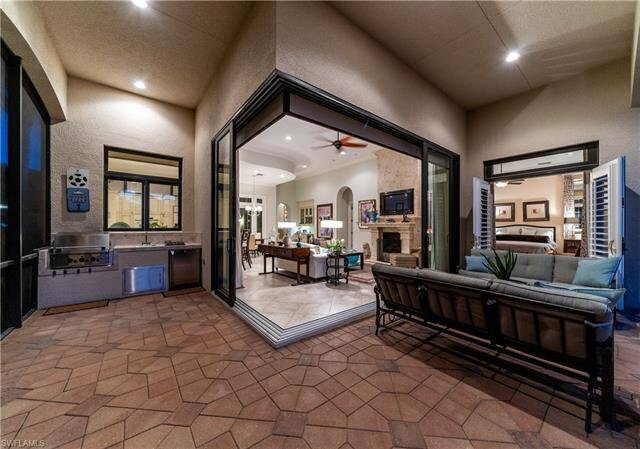 This Bartolina floorplan with 3 bedrooms, 3 Bathrooms +Den, 3-car garage. 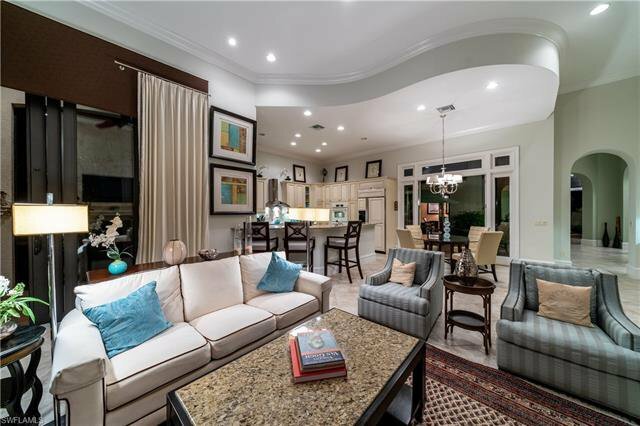 Crown moldings, recessed lighting, designer chandeliers, custom window treatments. 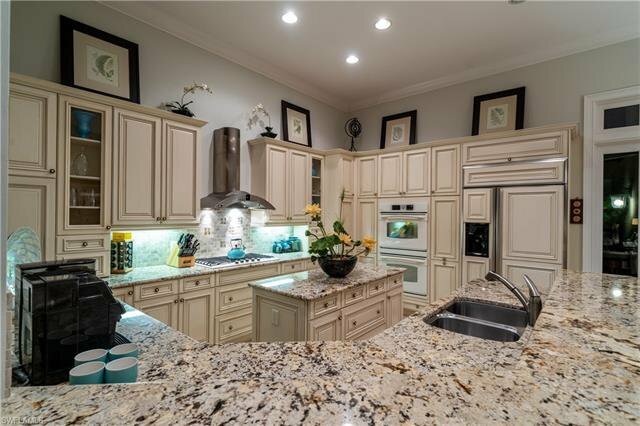 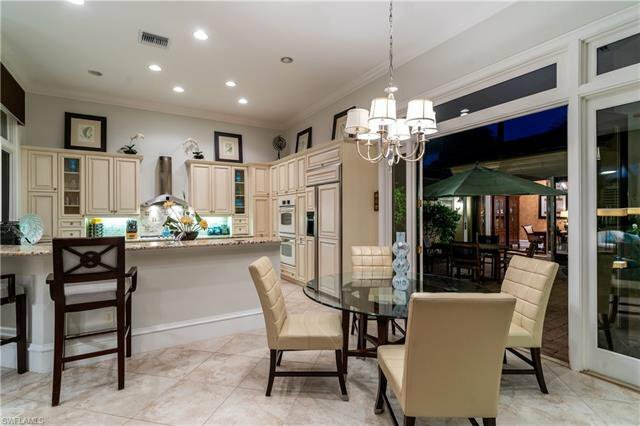 Gourmet kitchen w/island, granite, breakfast bar and G.E. 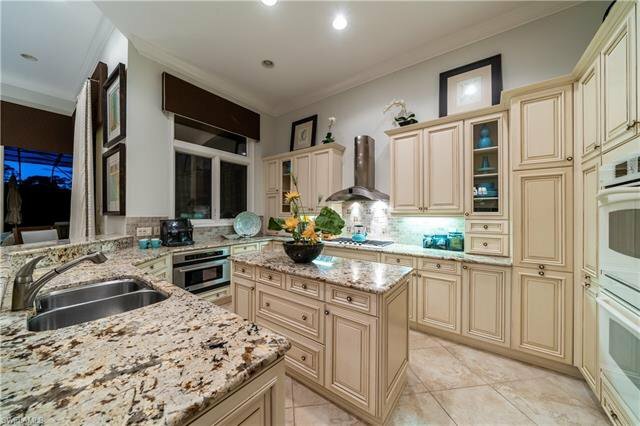 Profile appliances. 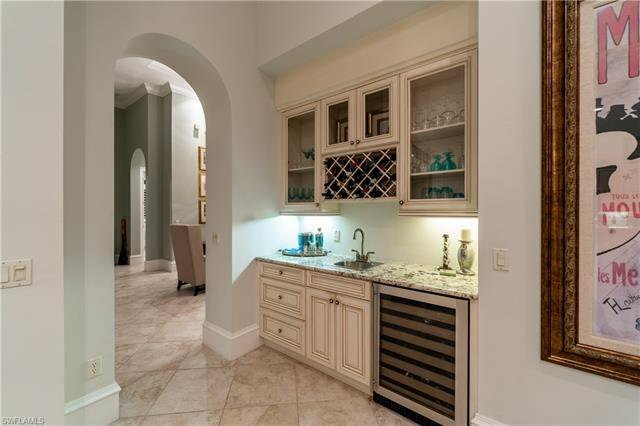 Centrally located wet bar. 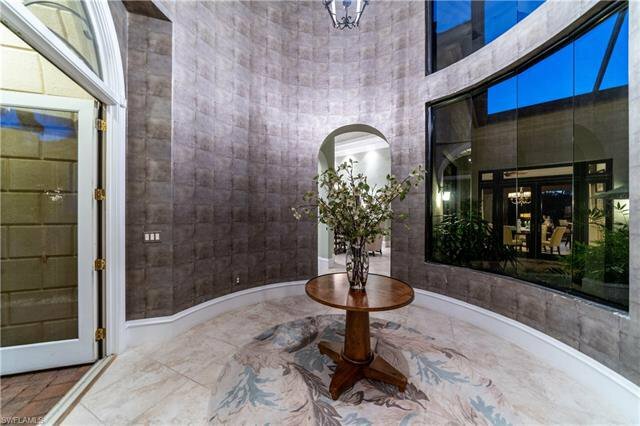 Owner’s Suite w/neutral ceramic tile on the diagonal, custom mirrors, volume tray, crown molding, recessed lighting, walk-in closets w/organizers, lanai access. 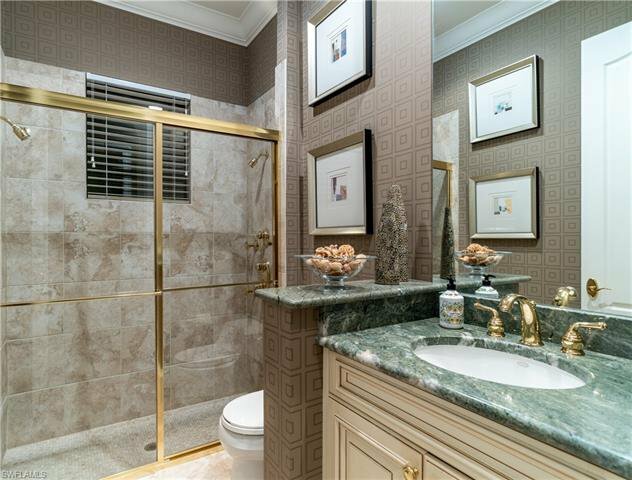 Owner’s En-Suite features a bidet, dual sinks, soaking tub, walk-in shower. 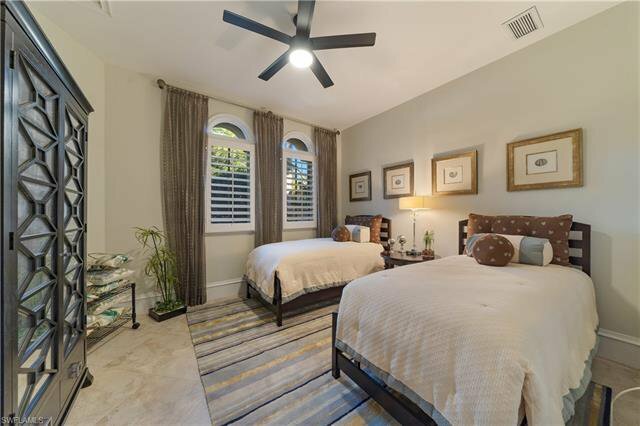 Luxury guest bedroom en-suites w/Moen shower systems. 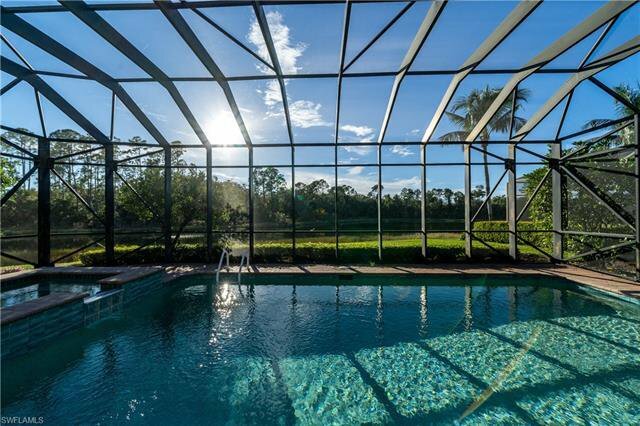 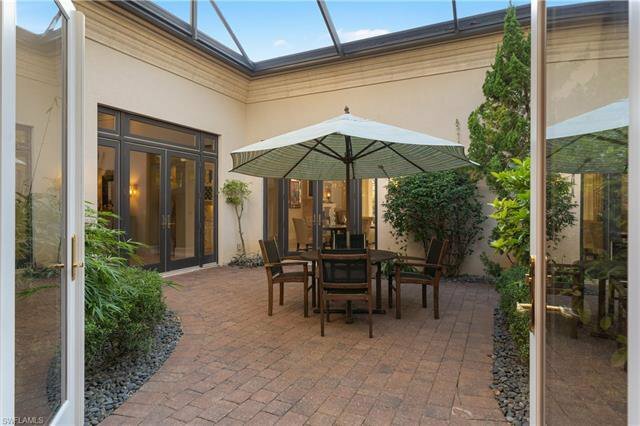 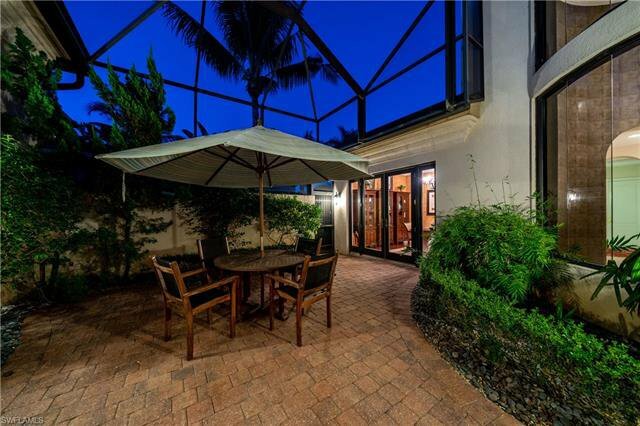 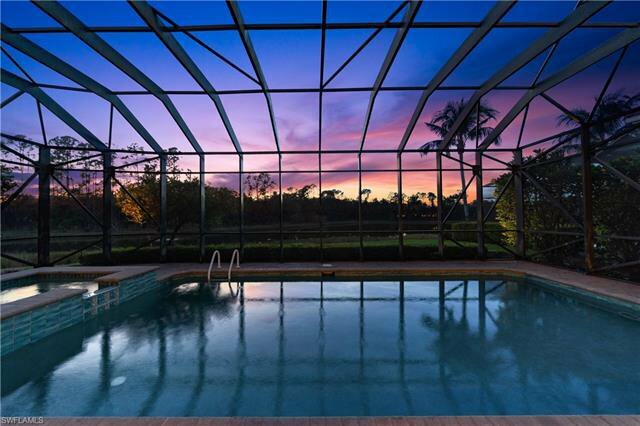 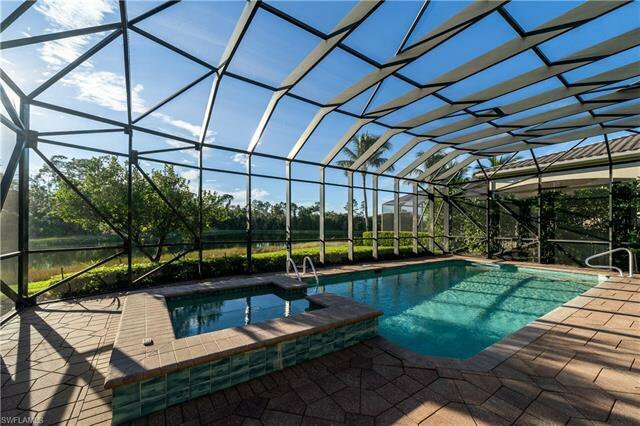 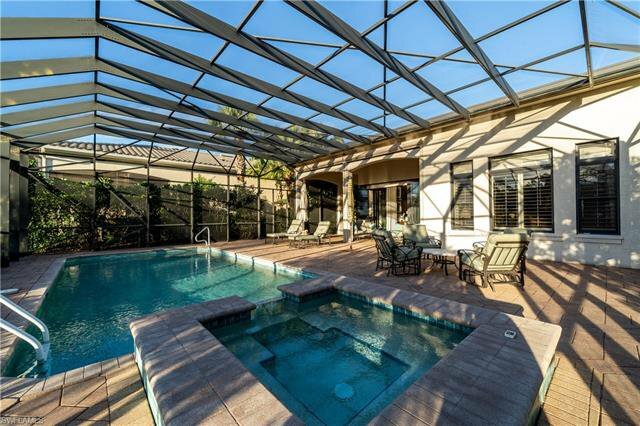 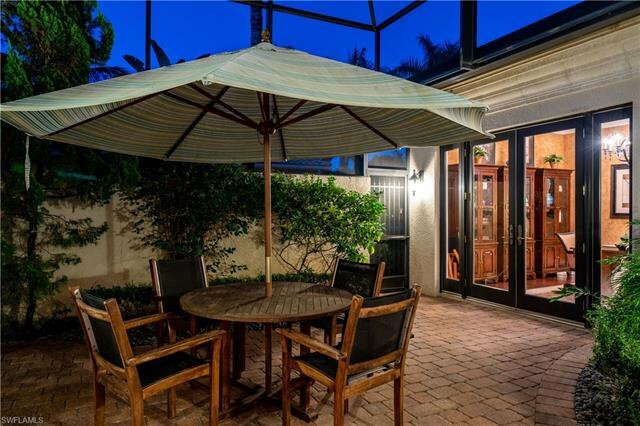 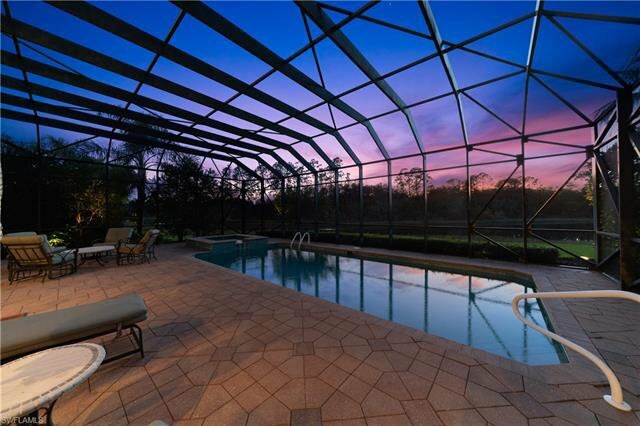 Mornings in the screened courtyard and evenings in the lanai w/outdoor kitchen, gas grill, tile countertop with sink and fridge and spill over spa cascading into the pool. 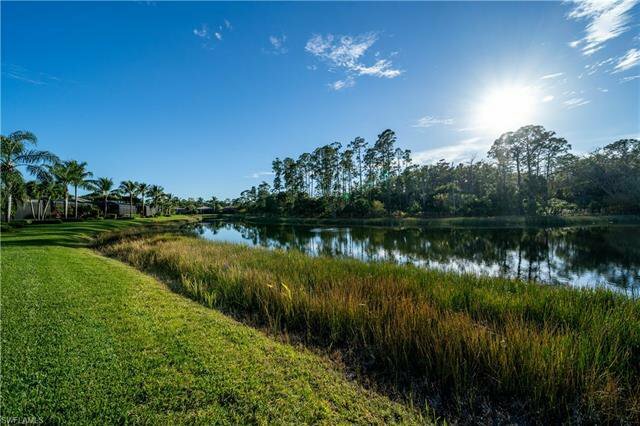 Breathtaking sunset views take over where the blue sky turns into shades of orange across the lake and dedicated preserve. 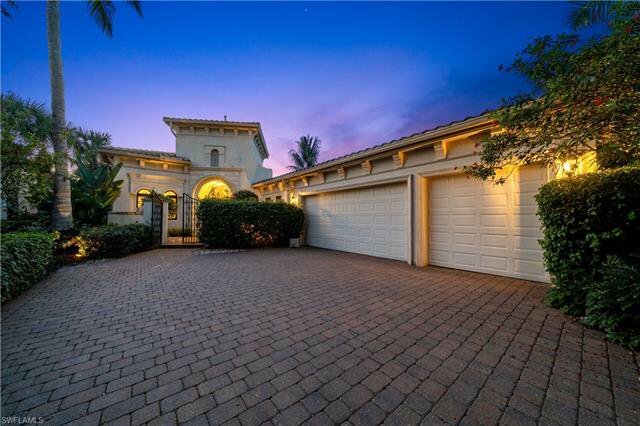 This distinct villa residence is located near the end of the cul-de-sac in Villalago. 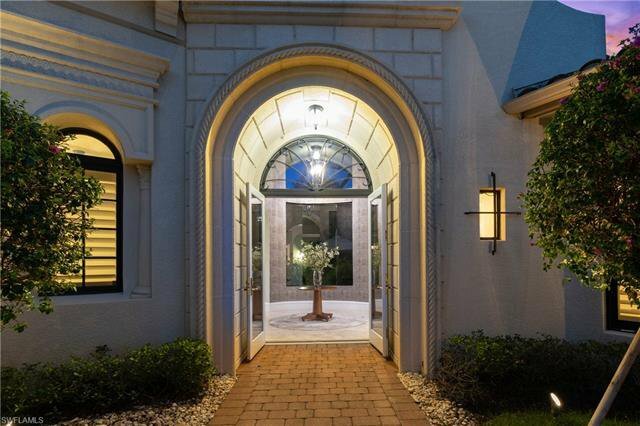 Come see what you’ve been missing in Mediterra!